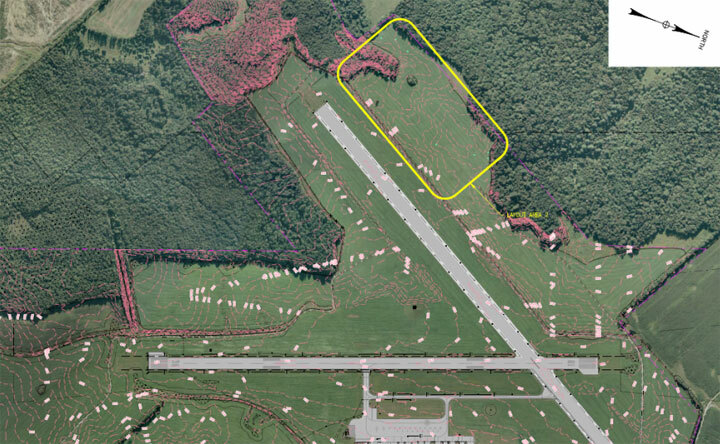 WHEM worked in partnership with an engineering firm to obtain permits for the significant expansions of the wastewater disposal and public water supply utilities at the Newport State Airport in Coventry, Vermont. For wastewater disposal, numerous sites were evaluated on airport property, and two areas were chosen for permitting. Detailed hydrogeologic studies were conducted, culminating in the design and permitting of several mound-type disposal fields in each of the two areas. For water supply, a new drilled well was sited and pump-tested, including monitoring and evaluations of potential impacts on neighboring wells. The permit for public well was successfully issued in 2014, and the wastewater permit was issued in 2016.